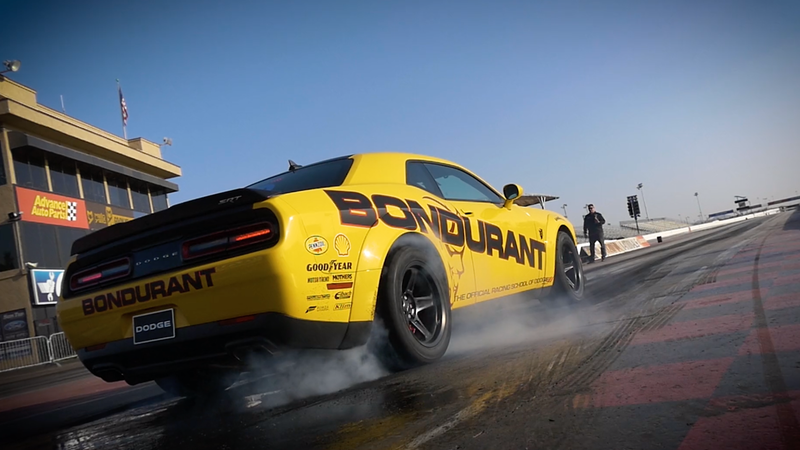 The Bob Bondurant School of High Performance Driving, which became the official racing school for Dodge and its SRT performance line three years ago, said this week that it’s open and holding driving classes after filing for bankruptcy in October and abruptly closing earlier in November. The school didn’t announce, verbatim, that it was back open, only that there’s a new person leading the operation, Timothy H. Shaffer with Clotho Corporate Recovery out of Arizona, where the school is based, as it works through the bankruptcy proceedings. Shaffer will be the chief restructuring officer as the school tries to turn around its business that owes between $1 million and $10 million to creditors, while owners Pat and Bob Bondurant act as consultants. Shaffer recognized the reported closure from earlier this month in a phone conversation with the Drive, calling it a “disruption in service.” He said the school was closed for “five days or so” before it reopened last week, and that it’s working to reschedule the classes it had planned during that time period. Shaffer also noted that they’re honoring all deposits made on Bondurant programs to the extent that the courts will allow—just to be careful—and will make additional requests to honor deposits with the court if need be to ensure that customers are taken care of. While your favorite instructor may not still be there, Shaffer noted that they are restaffing where they can. He said that the school is back to running its full schedule. He’s also looking for investors who might be interested in the school’s continued success. The Bondurant school filed for Chapter 11 bankruptcy in Arizona on Oct. 2, 50 years after former Le Mans racer Bob Bondurant started it in 1968. It became the official Dodge and SRT school in 2015, according to Autoblog, and buyers and lessees of new SRT vehicles have gotten one-day driving experiences along with their car purchase for the past couple of years. The initial document in the bankruptcy filing is simple and full of estimated checkboxes, and the Bondurant filing had boxes checked for owing roughly 50 to 99 creditors between $1 million and $10 million. After the filing, the school posted on Facebook to say it would stay open while “develop[ing] new business relationships to ensure the vitality of the Company in the future.” It temporarily closed about a month later. There was already a bit of a pause in that plan, but things are back up and running, for now, even if the school is far from out of the bankruptcy hole.